A driver has died after having a medical episode at the wheel of their car while driving along the A23, Sussex Police has confirmed. Police are appealing for witnesses after the fatal single vehicle road traffic collision on the A23 northbound carriageway near Hickstead, Haywards Heath. Part of the A23 was closed yesterday following the accident. 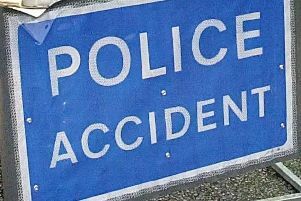 Sussex Police said: “A dark coloured Skoda, being driven by a 59-year-old man from Horsham, left the carriage way and collided with a lamppost around 4.50pm on Sunday (25 March). “The driver is believed to have suffered a medical episode at the wheel and despite the best efforts of the paramedics, sadly died at the scene. “A passenger, a 59-year-old woman from Horsham, suffered minor injuries and was taken to the Royal Sussex County Hospital, Brighton. “The road remained closed until 9.10pm.